Promote your cool gathering with the icy colors of the Winter Cut Paper Flyer. 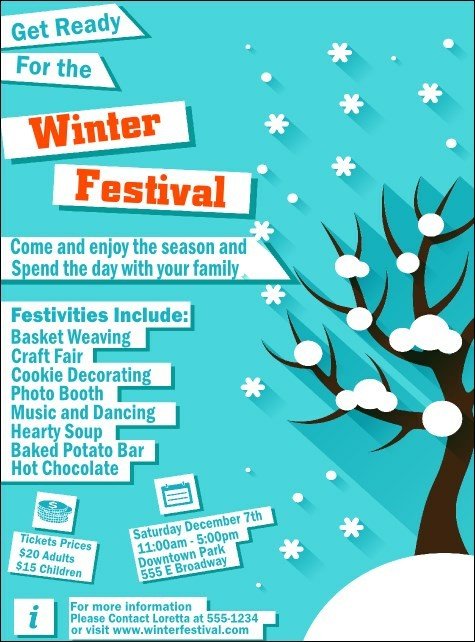 The fun and festive flyer template works great for arts and crafts workshops, festivals, or bazaars. The powder blue background highlights the white cutout paper for the text, with a sweet snowy tree on this side.